I decided to try Eggnog Cookies tonight. 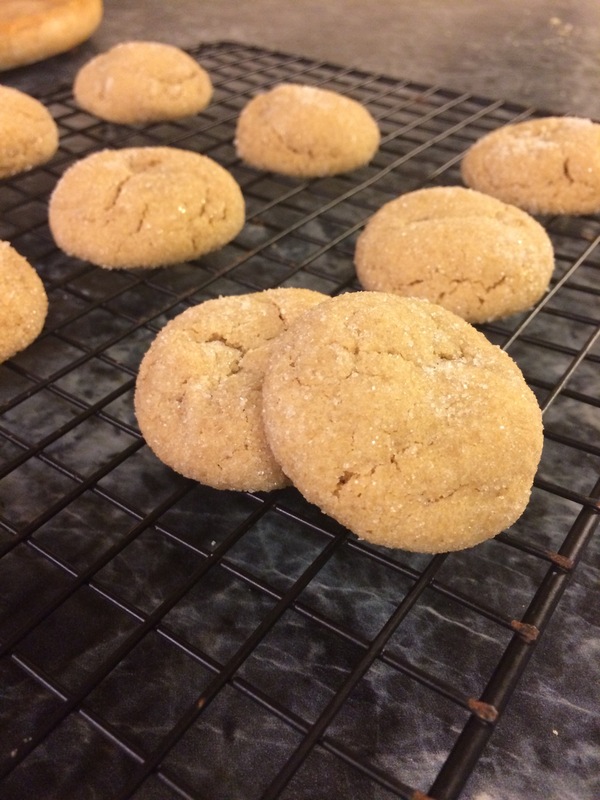 Overall they are a very soft cookie and with the icing, they are just delectable! Combine butter and sugars in a bowl. Mix until fluffy. Add egg yolks one at a time. Then put in the vanilla, rum and eggnog. Mix the dry ingredients in a bowl. Add slowly mixing after each addition. Bake in the oven at 350 degrees for 10-12 minutes of until lightly browned. Remove from pan and place on a cooling rack. When cool spread frosting on the top and sprinkle with additional nutmeg. Enjoy! Mix together to desired consistency. I am not a peanut butter cookie fan. However I found this recipe and decided I was going to give it a try. What could it hurt? My family lately loves cookies and I have been trying to keep my cookie jar full. That in itself can be a hard task when cow work seems to be happening daily. The guys love a snack of cookies or brownies when we take a break doing cow work. Anyway, I found this recipe and I adapted it a little bit to make it fit my needs. It turned out to be a wonderful little cookie. It is a peanut butter dough that you roll in sugar and bake it until they just crack on top. This leaves a very soft cookie on the inside but kind of an outer shell. You must give this recipe a try. 3. Add the baking powder and salt. Beat until just blended. Then add the flour in small increments. Mix just until combined. 4. Put the granulated sugar in a small ball. Using a small ice cream scoop or cookie scoop, skip out one portion of cookie dough. Role in your hand to make a ball, and then roll it in the granulated sugar. Place on a greased cookie sheet. Place cookies 2 inches apart. 5. Bake for approximately 8 to 10 minutes or just until the edges are browned and the tops begin to crack. DO NOT OVER COOK! 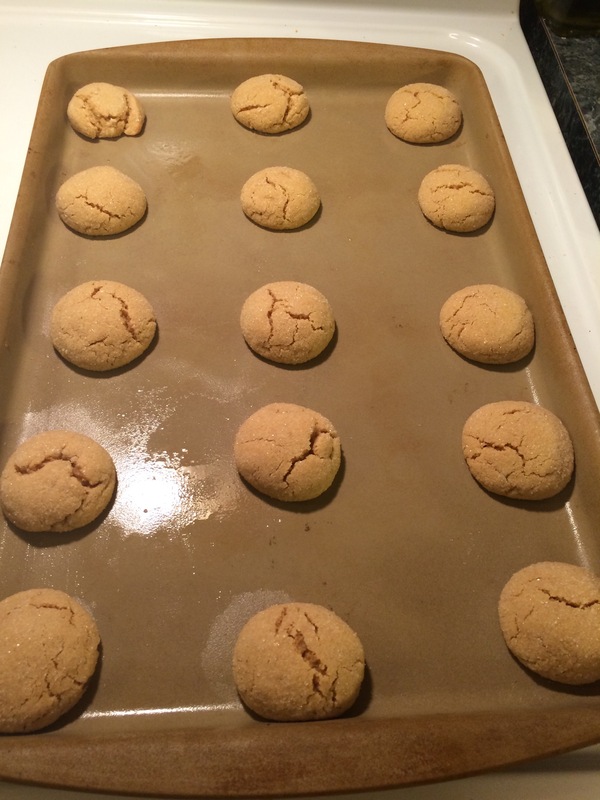 Let cool on cookie sheet for a few minutes, then move to a cookie rack.